Ford's latest marketing campaign offers savings of up to £5,000 on its 10 most popular models this Spring to boost sales in the plate-change-to-10 month of March. Eight Ford Zetecs, from Ka to Galaxy, as well as Ka Studio and Kuga Titanium are now available with substantial savings off the Ford list price. 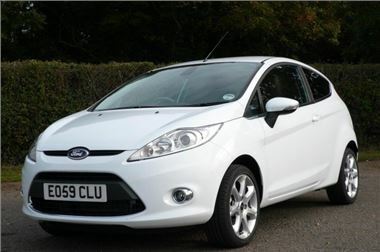 The sporty and technology-rich Zetec series represents the heartland of market leader Ford's car sales. Vehicle scrappage incentives – extended last week to March 31 – running parallel to Ford's VAT offset offer triggered the need to clarify the discounts available to customers. Lower prices are for orders confirmed by March 31, and for registration by June 30. Other marketing programmes already announced for the first three months of 2010 remain in place, similarly guaranteed to the end of June on orders placed in the quarter. In this special Spring marketing campaign, Ford has established lower price points for its most popular models without changing the list prices. Customers will be able to specify cars costing less – or more – than the featured models, which provide a price indicator for each Ford car model range. Nigel Sharp, Ford Britain managing director, said: "Ford is benefitting from its best vehicle line up ever and these lower prices will enable our dealers to seal deals in an intensely competitive market and maintain Ford's clear UK market leadership position. We are determined to provide the best possible value to our customers." Scrappage discount at £2,000 also applies to above prices apart from Ka where £700 of the extra discount applies only to non-scrappage sales. These offers apply to new cars and are available at participating Ford dealers only. The prices quoted are conditional on the customer taking out a Ford Options deal financed by Ford Credit.